Social & Emotional Learning Programs for Kids - Life Skills Training - GoStrengths! Empower Kids with Essential Life Skills! Learn why schools and parents alike are empowering students with GoStrengths! Social and Emotional Learning programs. Kids learn research-based skills to cope with challenges, boost emotional intelligence, strengthen relationships, improve behavior, and more! The research is clear–social and emotional learning (SEL) skills boost academic success and life satisfaction. Now GoStrengths! makes it easy to deliver SEL skills with fun, animated lessons. Each of our 10 modules infuses research with the practical application of skills. Teachers use narrated presentations, games, and animation to engage even the toughest student audience! Students Learn 8 Core Skills! The GoStrengths! program arms students with 8 research-based skills including goal-setting, problem-solving, resilience, optimistic thinking, character strength development, emotional intelligence, self-confidence, and social skills. Each of the skills is accompanied by a GoTool! in the program – a superpowered tool which serves as mnemonic to help students embrace and implement each concept. Easy to Roll Out Programs! Whether you are a single parent or district with thousands of students, GoStrengths! is equipped to provide you quick and easy online access to our courses. What about parent/teacher training? No worries, it’s built-in. Adults receive 10 training modules as well as lesson plans which correspond to each of the student modules in the program. GoStrengths! 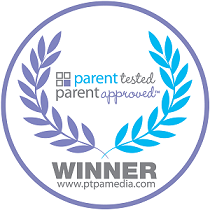 online resilience and well-being course is the proud winner of the Parent Tested, Parent Approved award for outstanding educational software.